More prosaically, this is the site of Old Egginton Station, on the Stoke to Derby railway. 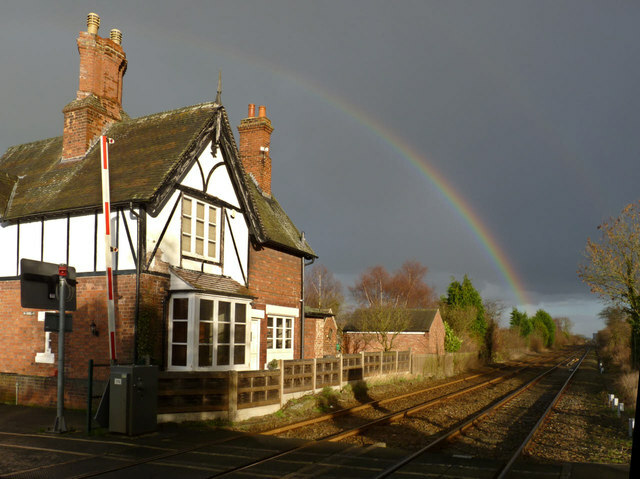 Opened by the North Staffordshire Railway in 1849, there was a station here to serve the village of Egginton. In 1878 the Great Northern Railway opened its line from Derby and a new station was built at the junction with the NSR a short distance to the west. The passenger station here was closed although a goods only facility was retained until at least the 1920s.